A new and enchanting journey-based community performance of Wind in the Willows. 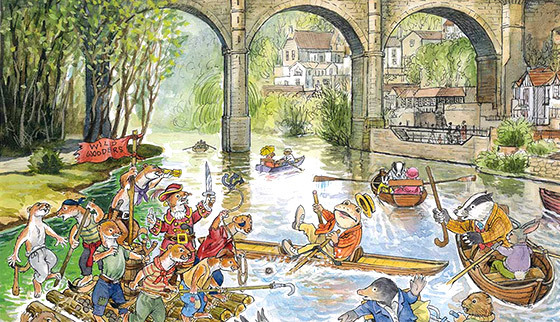 Meet Ratty, Mole, Toad and Badger on the banks of the River Nidd. Beginning at the castle, this charming production will take audiences on an adventure through beautiful river scenery, past larger than life ducks ready to tell you the latest gossip, and on to Badger’s cottage at the end of The Wild Woods. The show culminates in a big, raucous party that the weasels and stoats are throwing at Toad Hall (Conyngham Hall).